So, you want to make a WordPress blog but aren’t sure the best way to get started? If so — welcome! Follow this free guide through 30 minutes of pure blogging knowledge and you’ll go from no blog to a completely amazing WordPress blog by the end. 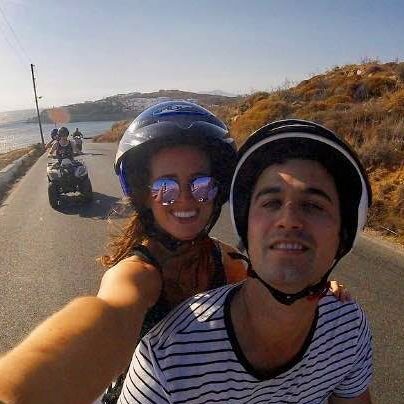 I founded the popular blogging site DearBlogger.org in 2013, write for cool blogs like HuffPost and ProBlogger, earn several blogging paychecks each month and even though it’s been years since I quit my job to blog for a living, I still get the same excited, first-day-of-summer feeling each time I create a blog. And I live in Minnesota so that feeling is extra warm! You can open so many doors with a great blog in 2018 – you can network with like-minded creators, build your own following, go viral on social media, and earn a few bucks in the process – and I hope to show you a glimpse into all of it! I made this guide so you can make a blog easily and avoid blogging pitfalls many of us fall into. I want to save you time and money and make blogging feel like summer for you too! If you follow along with me here, you’ll learn start to finish how to make a pro-level blog, and have a plan for how to create content and earn some money in your first month! We should have your new blog live in less time than it takes to watch an episode of Seinfeld (or whatever sitcom ya dig) — so let’s get started! So before we begin let me explain those “pitfalls” I mentioned above. Hire a web developer – Major headache because you have to tell someone exactly how to do it and shell out $1000s of dollars. Use code – I’ve done it, it’s fun, but not optimal for beginners by any means. Start a website on Wix, Weebly, Squarespace, Blogger, Tumblr, or even WordPress dot com – Possibly the most difficult way to make a WordPress blog because you make a blog on an inferior platform, then realize you want a WordPress blog, and have to start over. So it’s at least 2x the work. I want you to avoid these difficult real-life pitfall scenarios which cost so many of us precious hours and dollars. Note about WordPress.com: While WordPress dot com is an okay sandbox sort of tool to play with blogging, it’s highly limited in what you can do. 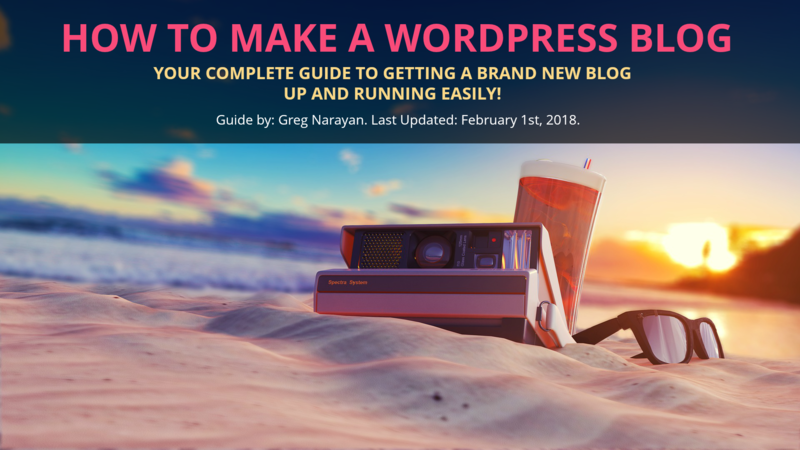 All experts will recommend you create a WordPress.org blog if you want to make money blogging or build a large audience and it’s incredibly important to get off on the right foot and get familiar with WordPress.org ASAP. For these reasons we will learn how to easily setup WordPress.org here, and refer to WordPress.org as simply WordPress. Why make a blog that’s just okay when you can have an amazing blog?! All that said, let’s move on and actually setup your WordPress blog so you can go off on your way and start blogging. Install WordPress – Once you’ve locked down a domain name and hosting, we’ll use a 1-click WordPress install service to create your blog without any coding. Going forward, you’ll create blog content as easy as using Microsoft Word feels. Build a Better Blog – Now that you’re blog is up and running on your own domain and hosting, you can do anything you want! I’ll show you how to write articles people really want to read and even how to make some money from it all in your first month of blogging. If any of these steps don’t make sense to you right now, don’t worry. There’s no better way to learn than doing and I’ll make sure to explain everything hands on as we make our way down this page. You can also email me at any time. We need to enter in a domain name before we setup WordPress so it’s worth planning out the perfect domain name now. The domain market moves fast. Don’t get upset if your favorite domain isn’t available, there are always hidden gems out there! If you’re stuck, register Yourname dot com and move on, it’s smart to own Yourname dot com because that will come up when someone Googles you, and you want to make sure it’s a decent site! Any old chump and buy a domain name. The price the common public is $15/year, often to GoDaddy or one of their partners. However, my recommend web host, www.HostGator.com, who I’ve used for years with 50+ blogs and websites, has offered to let new WordPress users get a domain name for free if you sign up for web hosting this month. Any free domain name! Along with a free domain name, when you setup self-hosted WordPress with HostGator, you also receive premium cPanel, all for just pennies per day. cPanel is what developers use to create custom email accounts for your blog or website (like advertising@yourblog.com) which goes a lot further than some old Hotmail. I have plenty of tutorials on using HostGator’s amazing hosting and cPanel once you get a blog up and running. This is a nice safety net — if you ever DO want to hire someone, they’ll be familiar right away with your account and setup. 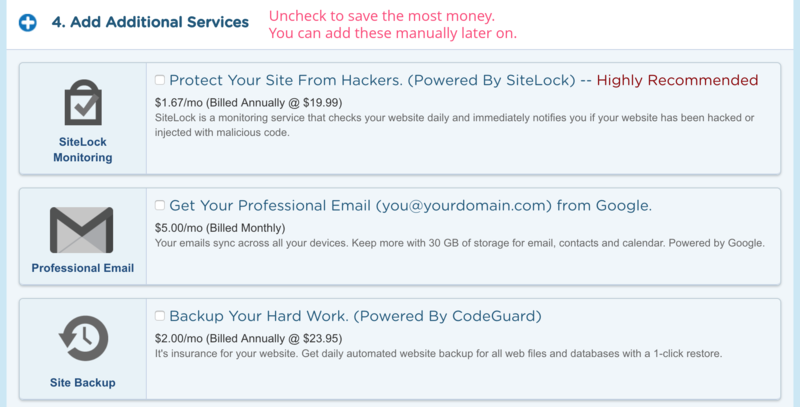 HostGator really has our backs. So we’re getting there! We now know where to get a good deal to setup domain name and hosting for your site, both together in one place. For me, having worked with many web hosts over the years for countless projects, selecting the best web host (where we’ll keep our domain and hosting) boils down to two factors: speed and affordability. A slow web host is the worst because your pages load slow and readers get annoyed. Affordability means we can create a blog on a budget and have money left for dinner to celebrate. This chart from Uptrends is a Website Speed Test for my flagship tutorial site gregnarayan.com which is based at HostGator. Why show this chart? Because my site loads in under 1 second, which is immensely helpful for my visitors, and sometimes as fast as .25 seconds. Try loading any popular blog you visit and see if they come close to the speed of HostGator’s blazing fast speed. 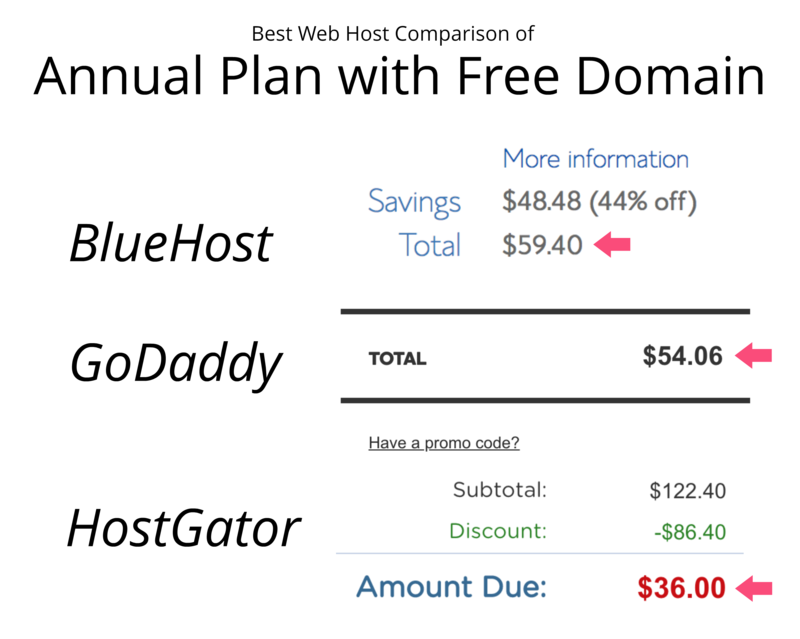 This chart shows average price savings of $20.68 using HostGator vs. GoDaddy or Bluehost. If you don’t have a domain or hosting yet, don’t worry! That’s the point of this guide! I’ll be showing you this step in a minute and by the end of this Step (1) you’ll have your own domain and hosting completed and ready for a fresh WordPress install. Not bad, huh? HostGator has good performance, is easy to use, and is probably the best choice for beginners. The domain and hosting come in a bundle, so if you have any questions for them they’ll be able to help with both at once. However, you can always go with another web host you’ve heard of and the process should be fairly similar. Just make sure it’s fast, affordable, and offers unlimited bandwidth and storage to avoid problems as your site grows. If it turns out your host doesn’t have the 1-click wordpress install, I found a guide for how to install WordPress manually. Note: NOT for beginners or what I would deem easy! Okay, deep breath! We now know how to choose a domain name and have a recommended host picked out which will get the job done professionally. Now it’s time to get the ball rolling and set your blogging career into motion. WAIT UP THERE PARTNER! MAKE SURE YOU DO THE NEXT STEPS CAREFULLY AND CORRECTLY! As I mentioned up top, WordPress should be easy in 2018, so I went through the process again myself and took a screenshot of every step you need to click. Now you can follow this permanent reference as your setup your HostGator account and WordPress blog (it’s all done at HostGator). After clicking this link, you will see the HostGator site (just like the screenshot above). This page with Einstein Snappy (he’s the mascot) is a limited time promotion. What this means is same great HostGator products, lower price. 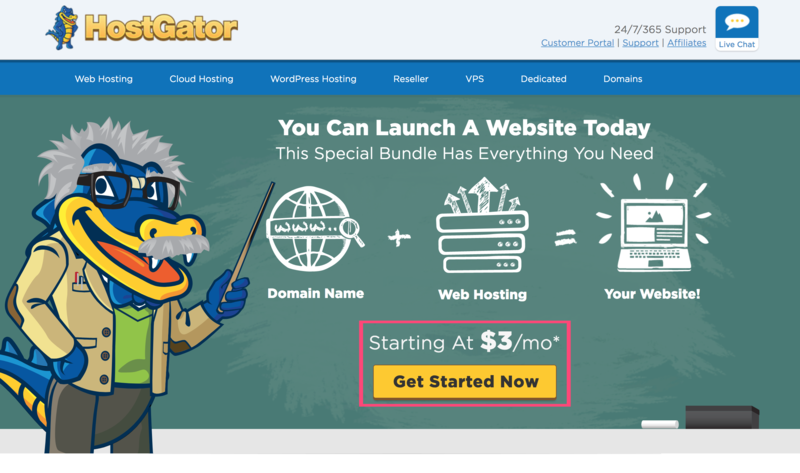 HostGator has had many promotions over the years but this page always seems to work best to signup new users (as long as this deal remains). The prices are lower here than on the main HostGator homepage. 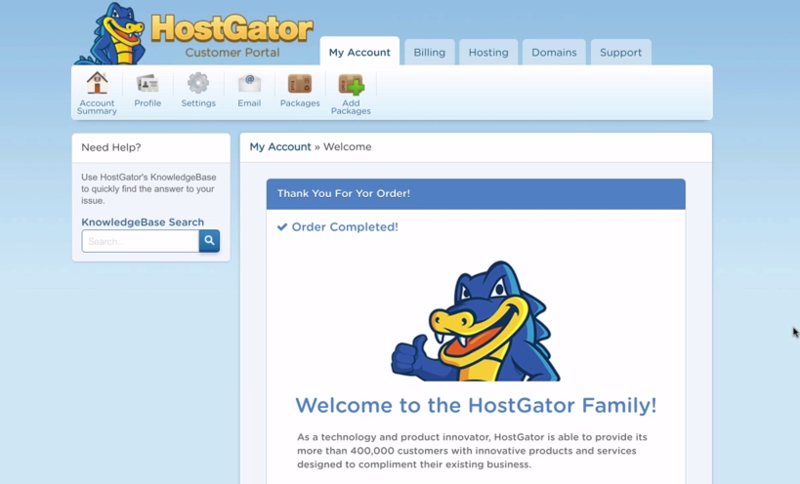 How it works is HostGator is will to offer us premium web hosting for $3/month. They will throw in a free domain name and a few more things. Compared to the normal price most people end up paying of $15/yr for a domain and $10/mo for hosting, or an expensive web designer, I think this is an amazing deal. I earn anywhere from $500-$1500 just from advertising partnerships on my blogs each month, so it’s a small price to pay. As long as this sentence is here, the deal is still good. I will replace it immediately if the deal ends. Take a moment to read “What’s Included?” like your domain name, unlimited email addresses and unlimited storage and bandwidth. When you’re ready, click on the yellow “Get Started Now” button. 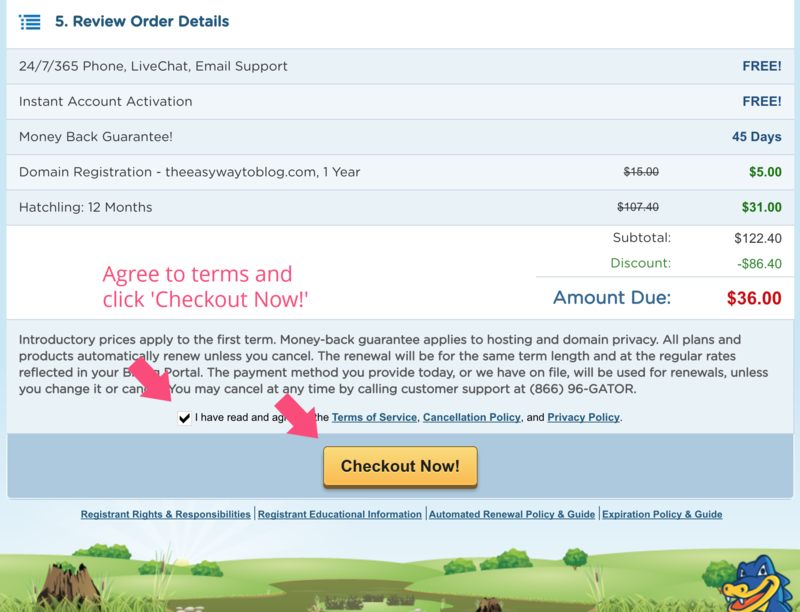 Welcome to the HostGator Order Form! The first step is to enter in your new domain. If you’re like me and buy domains like hot cakes and already have one, just enter it in “I Already Own This Domain”. But in this example we are going to register a new domain. You may notice a price of $5.00 next to your domain if you are getting one. HostGator itemizes this domain name price in case you want to remove it. In which case the price would be less than $3/month, which is really low! Make sure to scroll down a little and uncheck this Domain Privacy Protection box. I trust people so don’t use this. It’s just another cost. Alright, next it’s time to choose your hosting plan. I recommend the Hatchling plan for 12 months to save the most money on your new WordPress blog. What I see most bloggers do is upgrade from Hatchling to Baby to host multiple blogs or websites later on. Both Hatchling and Baby are great plans. 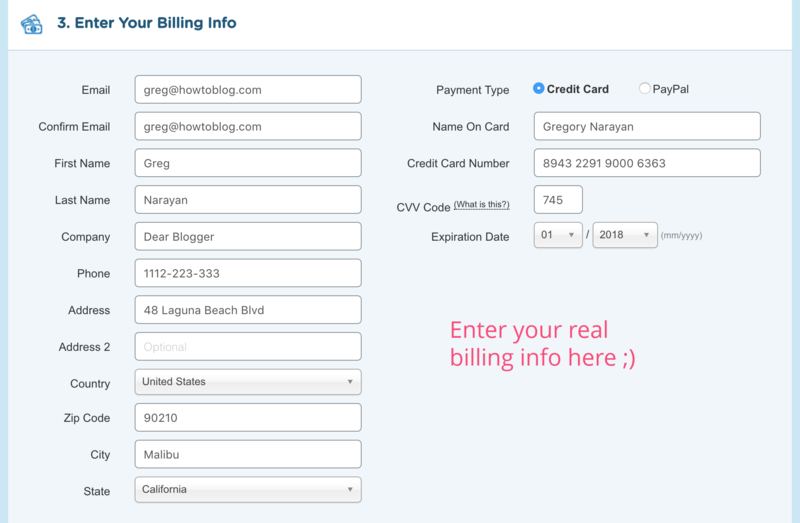 I also like the 12 month billing cycle a lot – you can not worry about renewal and focus on how to earn money blogging, and you’ll be amazed how high your soar in 1 year. The price is best for 12 months too. Alrighty then, time to enter your billing info. Think of it like buying groceries that you can show to the entire world and earn income writing about. Pay with credit card always works best for me, but up to you. Next, let’s uncheck the additional services. They are great options but not absolutely necessary for if you’re just starting out. You can ask Chat support to add them on at anytime. Optional: If you see a box for coupon code here it means you either signed up through a non-promotional page or this promotion has ended. If that’s your case, it’s your last chance to save some money so don’t miss it! Apply coupon code BIGBONUS. If you don’t see a coupon box, you’ve already found the best deal! Very good, now it’s time to review your price, which should be an even $36. This is a very easy price to remember when it comes to writing off your expenses for the year (buy a domain and hosting is for most of us a tax write off!) By the way if you wanted to get a larger Package Type or some of those additional services, by all means go for it. But most site owners and bloggers I talk do don’t need more than we’re getting here in this example. Okay, time for your 1st blog install and my 1001th maybe. Check off that you agree to the basic ToS, CP and PP and click “Checkout Now”. You’ll get a message that says something along the lines of “Welcome to the HostGator Family” which means HostGator has setup your new package! Congrats from me personally – you now have your own domain name and hosting account aka an address and a sliver of land on the web! Let’s get WordPress installed. If you have to take a break or accidentally closed this window, you’ll get an email with info to log back into this spot. So if you want to continue later, that’s fine, just click on HostGator Billing Portal link. But we should really get this done now, so click on the Hosting Tab. Then click on the box for QuickInstall. Why did I just quote the Men’s Warehouse founder? I don’t know it’s getting late. We needed his calming voice. 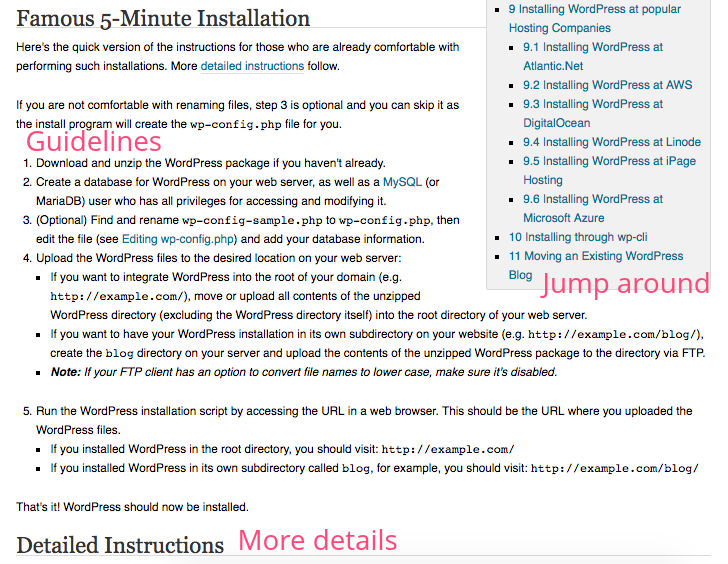 Clicking on QuickInstall will take you to the page where nearly everyone installs WordPress these days. This is the popular one-click installs section. Click on the WordPress box. Now select your domain name from the drop down on the left, and leave the directory box blank. Click NEXT. You’re doing amazingly! You’ll notice the version of WordPress you’re getting, which is the most current. 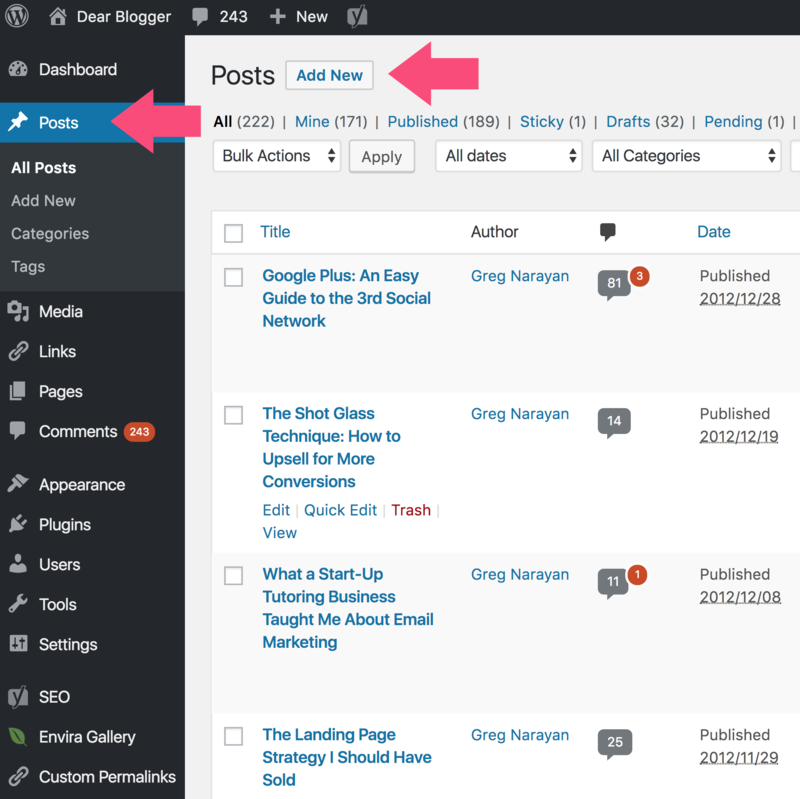 HostGator always updates you with new releases and you can update your copy of WP from inside your WordPress dashboard. Enter in the Install Settings, placing care on your Admin User, as you’ll login to WordPress and write articles as this name, and this Admin User cannot be changed. Last but not least, check the ToS box, and Install Now. A whole lot of magic will happen which a developer would have gladly charged your about $500 for. Aka getting this far saved you at least a few hundred $$$. You get to save that, and added bonus, you now know how easy it is to install WordPress and can repeat the process on your own! Simply sit back and relax or grab a snack while HostGator sets up WordPress for you. You can also browse the premium themes on this page. We’ll see how to use a great free theme below, but hey, who doesn’t like shopping. Once the WordPress installation process is complete, you’ll be sent to the last page in the process – showing you your WordPress login credentials. That’s really it! You’ve now setup your domain and hosting account, and installed WordPress successfully. Did you think you could do it?? I did! I always find it cool how this only takes about 15 minutes. It’s a piece of cake from here building a beautiful blog. If you haven’t gotten setup set to begin making your blog –> visit HostGator here <– to get domain and hosting then join us below! I’m really hoping the visuals above got you setup with your blog! But you’d rather watch than read, I made a complete WordPress video tutorial for beginners last year that follows the exact process above. It’s already been used by over 30,000 people on YouTube which still amazes me, plus you get to meet me and see my old office space too! After you check out video, click here to head over to HostGator and get everything setup quickly. Already blogging on WordPress dot com and simply need a WordPress migration? Ready to move to the big leagues where you can advertise and do whatever you want? I took a walk down memory lane and relearned WordPress dot com so we could migrate for anyone who still needs to today. The video covers moving your domain, redirecting your content, and even preserving links and social data! Of course, you’ll need a basic hosting plan, for which Hatchling works best. 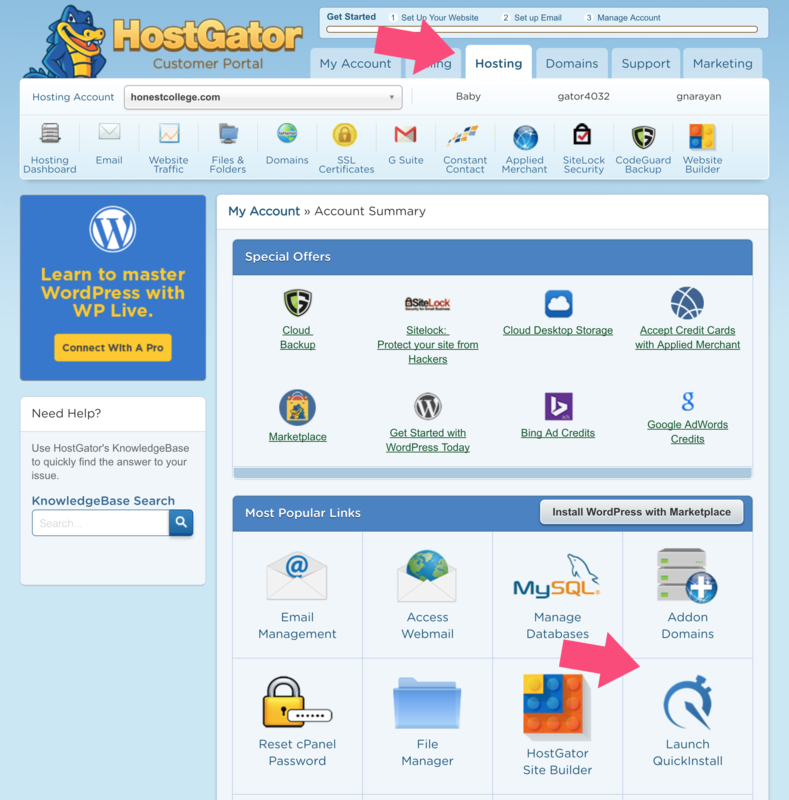 HostGator will even help migrate your content for you if it’s your first time signing up for hosting. There are always unfortunate cases where people have already setup web hosting and can’t switch or start fresh. Maybe you had a web developer 10 years ago or are still paying for hosting elsewhere. The good news is WordPress.org documents all the steps to setup WordPress manually which should work on even the most archaic servers. So you’re not stuck. I’ll paste them below! Of course, this is not beginner-friendly stuff, which is why I always recommend using HostGator for your blog if possible. This process is very well laid out by the WordPress Team but be warned it’s only appropriate if you’re comfortable with tasks like file manager, PHP writes and rewrites and database management. For this reason I recommend every single day that beginners and intermediate users alike follow setups for HostGator WordPress blog setup above. With my steps you are still doing some techie stuff, if that’s what you wanted, just not the whole enchilada. Just click on the big purple button and save yourself some time! Step 3 – Time to Build a Better Blog! Hooray! 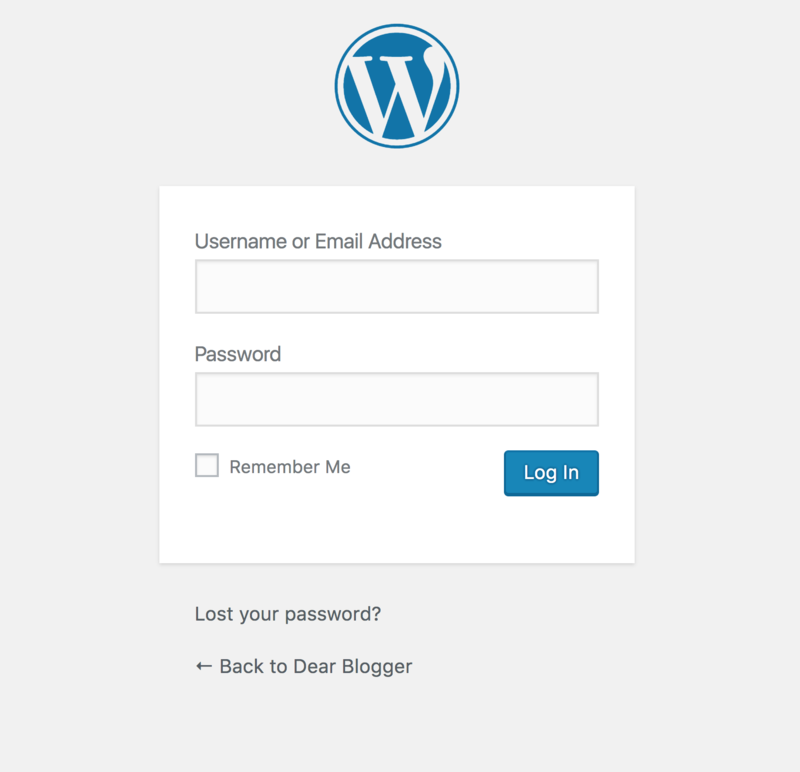 The time has come to login and write your first blog post. Like a proud new parent you have a new blog-child which can become the greatest thing the world has ever seen. Your blog could become the next Beyonce – a WordPress site! But before you start writing about your lunch or thoughts on your favorite Netflix show, a quick this warning – there are over 100,000 new blogs starting each day and most will fail by writing content that’s too random, vague and doesn’t provide enough value! So, how do we make sure our content provides value? The answer is to write specifically on a topic for which you are either the expert, or soon becoming the expert. Find the intersection of your greatest passions and the world’s greatest needs — and at that point of intersection you will find a gold mine of perfect blogging topics. Click on the cute Dashboard button in the upper left to view your site, then switch back to dashboard where you edit everything. Write, edit, add images, links and videos to your hearts content, then click Publish! You can also schedule posts for later and save them as drafts if you’re not done yet. I dug up a video we made last year on the 10 steps to master WordPress which could be useful if this is the first time you’re seeing everything! I’m a big asker of questions. One time I asked Ed Helms from The Office to take a picture with me in the airport. When my phone was dead, I asked him for his phone. In a totally unrelated way, we all have questions when we began a new endeavor like blogging. No question is too obvious or “bad”. So I worked through a couple months worth of emails and highlighted your most frequently asked questions (FAQ) and dropped the answer below. If you have a little extra time after you create your blog, browse through these to get an edge on other bloggers! How can I get my first 100 visitors? 1000? A new blog is super fun with that free, light, summery feeling, but it can be lonely after a week or so. Here’s how to change that. Once you’re confident about how your new blog looks, find a larger blogger in your niche (topic of interest) and email them asking if you can write for them. Make your pitch so compelling they can’t say no, and so personable they can tell right away you’re a real person. If they say yes, you’re all set. Landing guest posts is amazing because A. readers at that blog hear your voice and B. they click through your bio links to get back to your blog for more goodness. Guest posts are also noticed by Google, and if you land a few of them Google will start sending you more organic traffic for free through the Search engines. What blog post should I write first? Keep it basic. From the experience of my students and myself, using these 3 blog posts on your blog creates a great first impression. Using these three posts, people will see you as a well-rounded blogger and also recognize some familiar formats from other blogs they are probably reading. You really can’t go wrong with this strategy. When should I put ads on my blog? Up to you. For me, I love playing the card of being anti-ads. People really respect it. Less ads means more space on your blog for people to look at your content. If people know your stance is content content content you can really win them over. Of course, you can put different kinds of offers on your blog like email lists and affiliate marketing which will serve to earn you a lot more money in the long run. Blog SEO is the practice of making your blog Google friendly, aka writing great posts for Google while also writing great posts for real readers. It’s like the marketing side of the business. Imagine making the best laundry machine ever, but storing it in your basement and never selling it to the world. That wouldn’t be very smart from a growth and profitability perspective, would it? Blog SEO isn’t some foreign monster – it’s actually just a few steps you need to take now, and a few more later on, and pretty soon you’re an expert on SEO and can even teach people it. I went ahead and outlined the first 3 steps you need to take to “SEO” you blog for users of this website. Coincidentally, these steps are also what you need to do to setup Google Analytics on your blog, so you can kills two birds with one stone. How can I make a blog in WordPress? Well I tell ya, you can probably just use the guide above! Using the knowledge we’ve stockpiled from almost 10 years of blogging you can create a blog in WordPress and build your blogging empire so that you can sit down and write each morning, build your audience and generate income blogging eventually using the best white-hat practices available today. How do I create ______ on my blog? Well inevitably, you’ll want to create or something totally new on your blog. On our YouTube channel, we answer even the most obscure real questions you guys have in video form, so there’s a good chance you can find an answer there from me or another WordPress YouTuber. You can also ask HostGator live support, who are paid to be patient through any question you have. Can I learn how to make a blog for free? Yes you can! Using this guide you’ll gain all the knowledge for free. Even still today many folks end up paying an expert to teach them how to blog. But with this guide you lose nothing and gain all the DIY blog setup information for free. 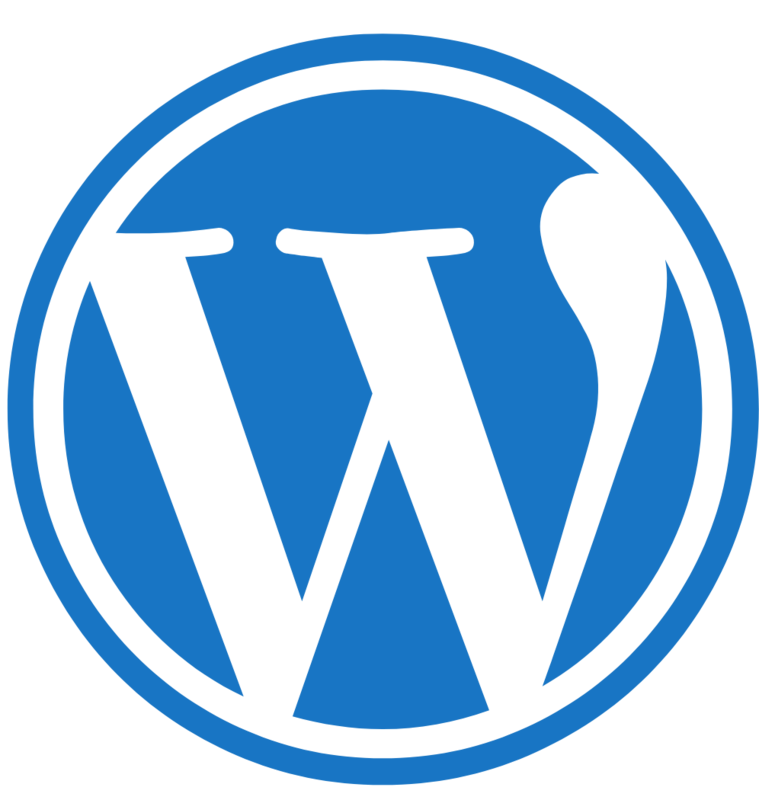 As for the bare bones costs to how to make a WordPress blog it’s really nothing. 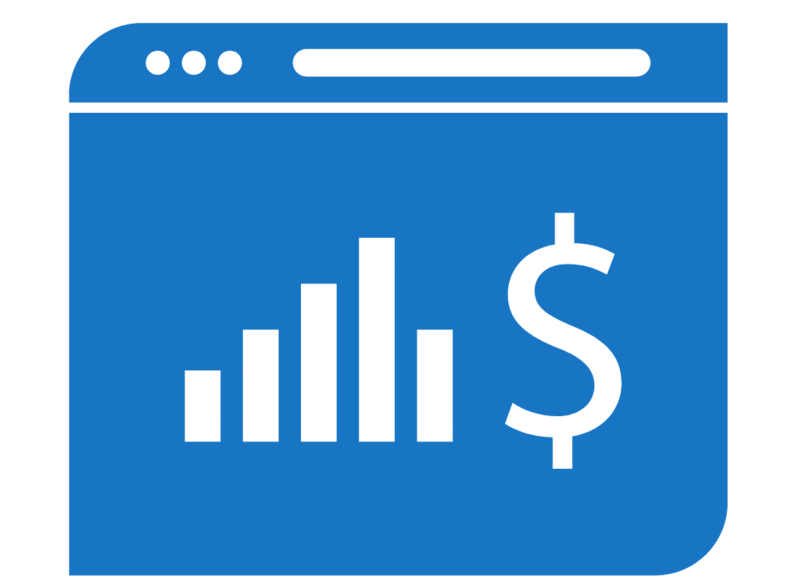 We have whittled down the cost of a domain name to zero and the cost of web hosting to just $3/month. So where most folks pay $15/year to GoDaddy or another domain name registrar and pay a lot for hosting at another more difficult provider, we pay basically nothing in comparison! Can I really make a WordPress blog and blog for a living? Ah the age old question, and a perfect way to wrap up this guide. Look around at other bloggers who have been successful over the past 1-5 years. Names like PinchofYum, SocialTriggers, ViperChill (okay he’s older), Refinery29, Zoella, and more. Ask yourself, can you do what they do? Okay, so my answer when I compare myself to these folks is usually no. But here’s the great thing. You can blog for a living by being just even 1/10th as good as these big bloggers. That’s because blogging has become so big that there are niches in niches and micro-niches beyond that. You can either us a blog to launch yourself up as an expert in your niche or take your expertise and bring it back to your blog. You can sell any product on WordPress for free using WooCommerce and Paypal. You can be out in the open, or hide out under a penname and ghost writer your way to fame. The point is which ever direction you decide to take your blog, there is a path, and often a beat path you can follow. As long as you put in the effort whenever you can, your readers will set it and you can definitely reach a level of success where you have more freedom of time, creatively and even income in your daily lifestyle!